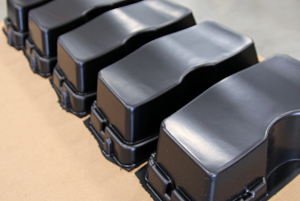 Our responsiveness, and our ability to drive value from the onset of your thermoforming project is due in part to our use of technology. 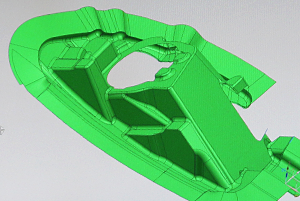 Our Siemens NX software exceeds traditional CAD/CAM. This gives us faster time-to-market with an expeditious design process. 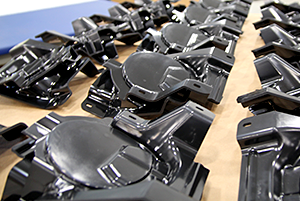 Our emphasis on a reduced time-to-market removes the traditional disconnect between styling and product development, helping maintain design intent from design through thermoforming. It also defines the foundation for improving thermoformed product quality, controlling costs, and reducing time to market. We will collaborate with your design team, quickly turning concepts into accurate surface models. Prototyping is accurate and solid. Final design data is used not only for tooling and molding, but also for programming our 5 axis cnc router, eliminating the need for manual trimming and assuring more precise tolerances. 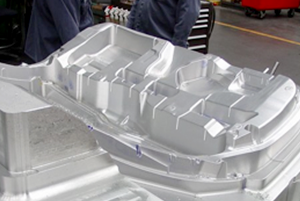 Our solution-based approach is the catalyst for such innovations as improved existing product design through reverse engineering, eliminating down-stream services through unique mold designs, and material alternatives for improved appearance, strength and performance. You can rely on FSI for cost effective secondary services, such as assembly, finishing, and plating, hardware integration, flocking and kitting. This single source approach is often more cost effective.